The month of October had been the month of the Free Book Contest for us. Now that the contest is over, the names of the winners have been announced. The list of people, who participated is very long and as in any contest not everybody won. But, more than winning, the idea was to connect more and to communicate better, which we all did. That way, everyone has been a winner. Those who did not win this time, there is always the next time. The winners have already been notified by email, or will be shortly. Thank you readers for the wonderful response and for making the contest a grand success! 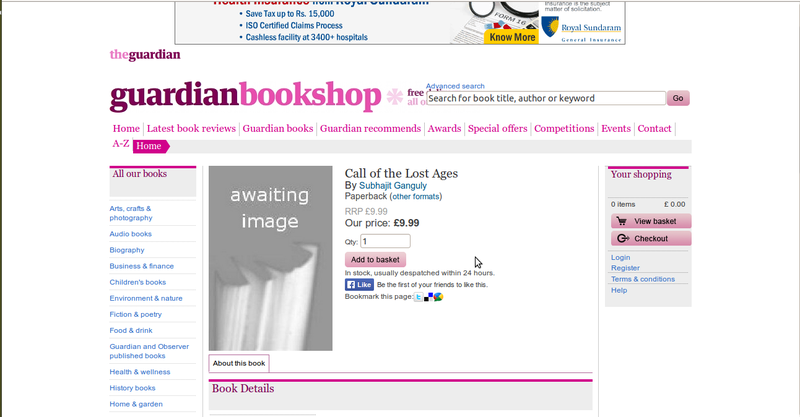 The book Call of the Lost Ages: A Study of the Indus Valley Script is at the Guardian Bookstore now. I thank the Guardian for this honor.